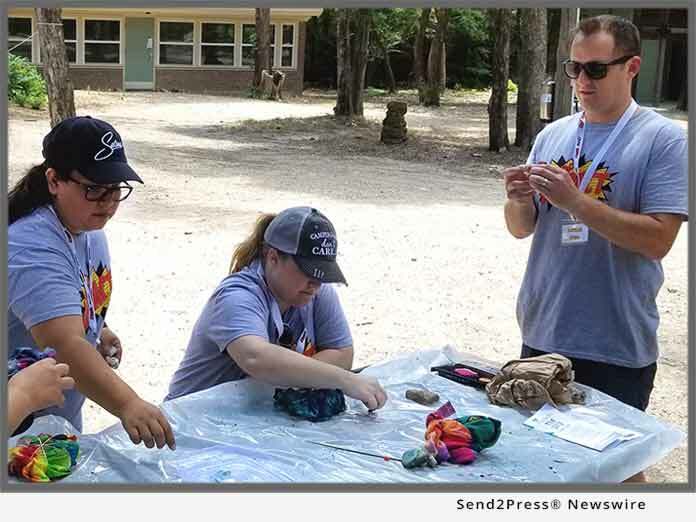 LOS ANGELES, Calif., Jul 17, 2018 (SEND2PRESS NEWSWIRE) — Mortgage Quality Management and Research, LLC (MQMR), a leader in mortgage risk management and compliance services, recently completed a volunteer day at Camp Impact as part of its on-going corporate commitment to community service. Camp Impact offers free summer camps to homeless and underprivileged youth in the Arlington and Grand Prairie, Texas, communities. As part of the volunteer day, MQMR staff took campers skating and organized arts and crafts projects, including an exercise where the campers constructed dream catchers and wrote a letter to their future self about what they wanted to be when they grew up. MQMR bridges the gap between risk and compliance through its suite of risk-related services. Since its inception, MQMR has launched multiple products and services to assist lenders in navigating regulatory requirements, including providing mortgage compliance consulting throughout the origination process, conducting internal audit risk assessments and ongoing internal audit support, servicing QC and subservicing oversight to master servicers, and filling the void of meeting vendor management oversight requirements. With 2,000+ operational reviews of mortgage companies, subservicers, document custodians, and vendors annually, MQMR prides itself on being an industry leader in counterparty risk and compliance.